With Trivago's Best Value Destinations, they've highlighted some smaller, homegrown destinations with great hotel prices and a history of satisfied travelers that often get overlooked in favor of bigger names. Congratulations to Ocmulgee National Monument & the Ocmulgee Indian Celebration as well as Nu-Way, The Rookery and Dovetail for being #4 on Trivago's Bang for Less Buck: Best Value American Destinations for 2017 top 10! The Big House Museum: Also know as the Allman Brothers Band Museum, the boys, their families, and friends lived here for three glorious and formative years before making it big. The house is open to visitors looking for memorabilia and touching reminders of the band’s history. Tubman Museum: Since 1981, this museum has dedicated its efforts towards the preservation and exhibition of African-American history, art and culture. It is the largest museum of its kind in the United States and teaches the story of African-Americans through exhibits, publications, and classes. Ocmulgee Riverwalk Heritage Trail: Running over 11 miles long, this popular trail is perfect to skip, jog, rollerblade or bike your way around town. Locals love to float down the river in the summer or you can wind your way with a paddle and canoe. Stop into the historic Riverside Cemetery, a city landmark, to pay your respects while enjoying the tranquility. Cherry Street: If you’re after a taste of the party, Cherry Street is the heart of Macon after dark. From an arcade bar to dive bars and live music stages, it bustles with action. Ocmulgee Indian Mounds: This historic national park holds traces of 17,000 years of continuous human habitation. Ceremonial mounds, temples, and trenches showcase the engineering skills of ancient Southeastern Native American cultures. It is also the site of the annual Ocmulgee Indian Celebration, held annually in September. 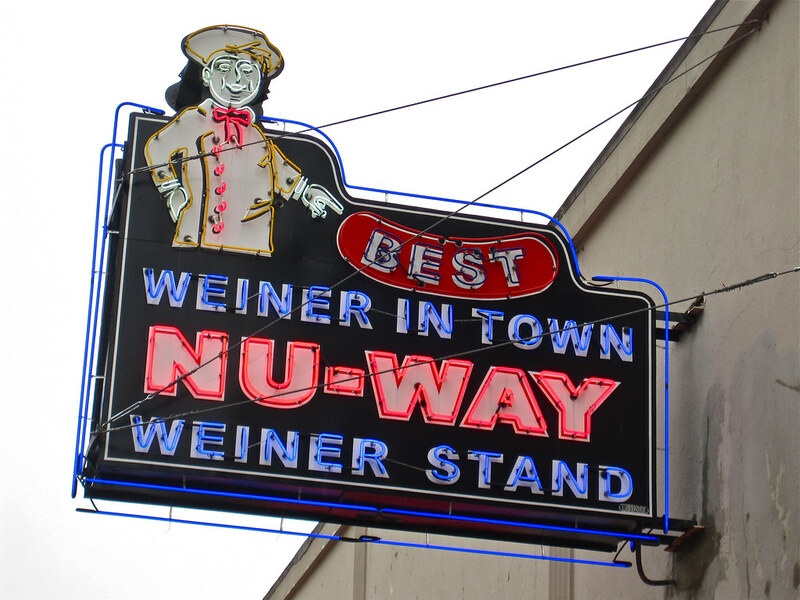 Nu-Way Weiners: Having celebrated the big 1-0-0 last year, the hotdog stand and its original Cotton Avenue location have been dishing up secret recipe chili hot dogs under the bright lights of its original neon sign to the delight of residents and visitors alike. The Rookery: This hangout bar is known for playful menu names that highlight some favorite Macon personalities, including a Ray Charles burger and the Jimmy Carter Shake. Enjoy them best with a craft beer on their outdoor patio and catch some live music. Dovetail: This farm-to-table restaurant was applauded in the magazine Southern Living for its incredible pre-Prohibition era cocktails and delicious food. Their spin on Southern food has brought a modern edge to comfort food while supporting regional farmers and purveyors.